When Creditors Attack -- Is A Lien Legal? When creditors attack — Is a lien legal? A creditor has put a lien on our home and has now threatened wage garnishment. I have two questions regarding this. To me it sounds like double dipping; can they legally do this? My second question, if they can do this, is how can I ensure that the amount of money garnished is going to be deducted from the lien amount? You have been sued for a debt. The creditor filed a lawsuit against you and received a judgment. Now, it is taking all appropriate means necessary to satisfy that judgment. In its attempts to do so, the creditor has the right to attach your property as well as garnish wages or levy your bank accounts. Can wages be garnished for old debt? The only way the creditor could be guilty of double dipping is if it were collecting more than what you owe or collecting on the same debt twice. And the creditor does not have to choose one form of recovery in its collection attempts. The document given to your employer will show how much you owe. You can keep track of what is paid each month. Keep in mind that the money taken from your paycheck is paying the balance and interest. A lien against the property is a very common step taken by a creditor after it receives a judgment. With court approval, the creditor files a document with the county recorder’s office that places an involuntary lien against your property. 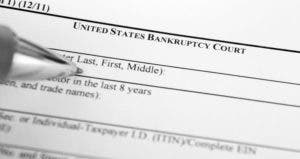 This lien can only be removed with a court order or if the creditor voluntarily removes it. Usually, the creditor will remove the lien after being paid on the debt. In some cases, the homeowner learns of the lien when trying to sell the house. This slows the sale because the lien must be resolved — either removed or paid — before completing the sale. The lien will continue to grow at the judgment interest rate, which may vary from state-to-state. Even though there is a lien against the property, you might not sell the house for many years. So the creditor will also seek to garnish your wages. This is also done with court permission. Each state may have different wage garnishment procedures, but generally speaking, the creditor serves an earnings withhold order (aka wage garnishment) through the local sheriff’s department to your employer. The garnishment will continue until the judgment is satisfied. The creditor can also seek to freeze any bank accounts you have and take the money directly out of your account. This could be happening at the same time that a lien is placed against the property and your wages are being garnished. The levy will only take the amount needed to satisfy the judgment and it could also wipe out your account to the last penny.